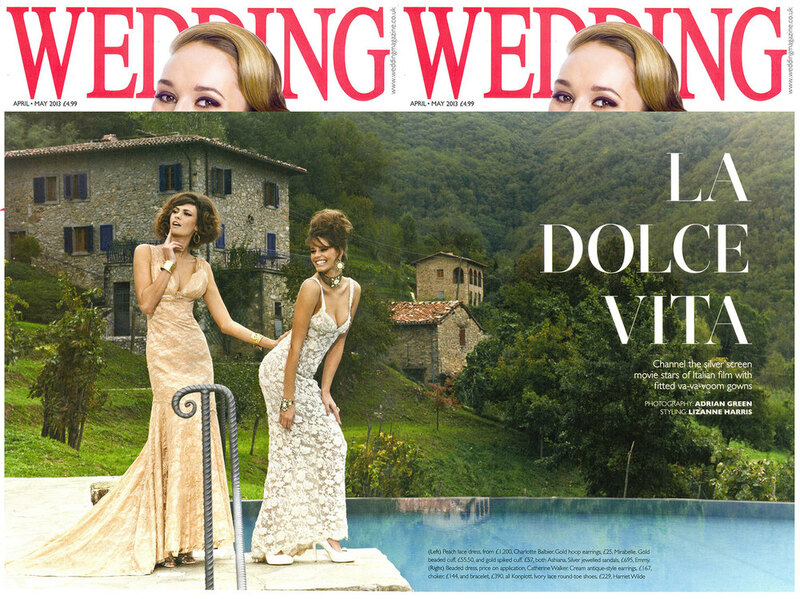 La Collina del Sole is the leading image featured in the Story “La Dolce Vita” in the March / April 2013 issue of Wedding Magazine. The models are seen posing by the award winning infinity pool, this location was chosen as you get the most glorious views, which are described in the guest feedback. You can also just glimpse the award winning salt water infinity pool; a unique feature within the Holiday villas in Lucca so if you want to enjoy tranquil mountain views when you look to rent a villa in Tuscany consider this beauty!